This article was originally published on the BiEPAG Blog and can be found here. The days when China coped with affairs “in a calm manner, hiding its capacities and biding the time, by maintaining a low profile and by never claiming leadership” are long gone. China is determined to become a global innovative powerhouse by 2020. It is also determined to secure its global capital investments through foreign-policy capital projects, including in the Central and Eastern European region. In order to succeed in the “technological catch-up with the exhausted market and predictable growth rates in the 6–7 per cent range, it must tie the productivity with innovativeness in a variety of forms”. Embracing new markets, new products and sources of material that combine innovations and market opportunities is the Chinese strategy to adapt to global impulses, with or without the necessary interest to address the whole variety of challenges. Corruption is only one of these challenges. Having said that, China’s increasing interest in the Central and Eastern European countries brings unpredictable risks. 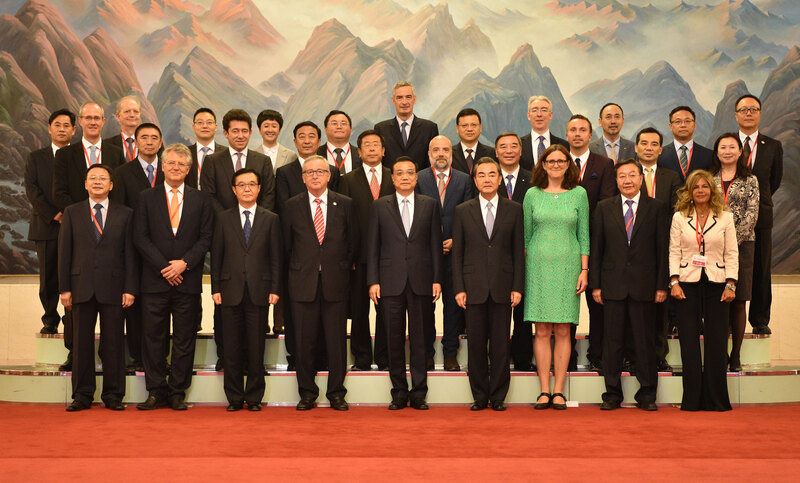 The ‘16+1 Cooperation’ package was launched on the initiative of the People’s Republic of China in order to intensify and expand cooperation with 11 EU Member States and 5 Western Balkan countries. In the framework of the initiative, China has defined three potential priority areas for economic cooperation: infrastructure, high technologies, and green technologies. It also defined investments in transport, finance, science, education, and culture. All sixteen CEE countries also form a key region for Chinese diplomacy’s main project, the ‘One Belt One Road Initiative’, also known as the new Silk Road. This interest aims to be based on collaboration instead of being a force for achieving national interests and goals. For a small number of profit-driven-elites, yet-to-be-developed impartial bureaucracies and far-from-developed-innovative economies in the CEE countries, (soft) power of such a type is ‘pure heaven’. For decades, the CEE countries have been trying to root out corruption from their political systems. The quick transition to liberal market economies did not create sufficient opportunities to fill the void between wealth, solidarity and poverty, or to rebuild their economic capacities. Decades later, youth unemployment is still very high in most of these countries. The 2018 annual report on the implementation of the SEE2020 Strategy, issued by the Regional Cooperation Council (RCC), shows slight improvements or even backsliding in some SEE countries compared to 2008. 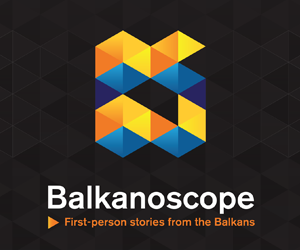 (Albania, 31.9%; Bosnia, 45.8%; Kosovo, 52.7%; Macedonia, 46.7%; Montenegro, 31.7%; Serbia, 31.9%). The long-term unemployment is even worse (Albania, 66.2%; Bosnia, 82.1%; Kosovo, 71.5%; Macedonia, 77.9%; Montenegro, 75.8%; Serbia, 60.5%). The high risks marked in the informal economy, corruption, legal uncertainty and unclear property rights are obstacles to growth, as the report has shown. There is a skills shortage and mismatch with the demands of the labour markets. The rule of law is unsustainable. Education systems, especially in the Western Balkans countries, are weak, and research and development (R&D) systems are largely underfunded, ‘with persistently low investments that exacerbate the gap between research production and the impact of research produced in the region and the EU. The overall investment to research and development from public sources remains below or slightly above 1% in all the economies in the region’ (RCC Report, 2018). Furthermore, the Western Balkans are still dealing with fragile post-conflict reconciliation and ethnic tensions, fueled by a lack of structural reforms and political visions of how to (re)build political capital or to educate the citizenry to be able to exert sufficient public pressure on out-of-the-reach elites and (re)gain the ownership of their public goods. In such a context, it was expected that the tools of smart diplomacy would be able to fill these gaps, since they allow leaders to address the current failings in transitioning from conflict to stability and to reconstruct the ongoing social traps of their fragile democracies. Economic deficiencies are one of them. 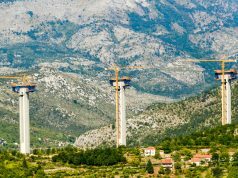 China’s ambitious Balkan Silk Road (BSR) project promised to help transform the Western Balkans and “create leverage for acquisitions and infrastructure innovation on an unprecedented scale”. Yet, China introduced its own twist of smart diplomacy in the CEE countries. 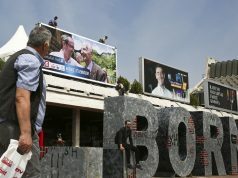 The recent European Bank for Reconstruction and Development (EBRD) report has revealed that “state-owned Chinese banks are providing loans at low interest rates to companies and political authorities in Southeastern Europe.” Bank branches open in the region and money is lent for building bridges, highway construction and power plant renovation, as well as investments in the infrastructure of transport and logistics networks. However, concerns have been raised that China’s dominance in the construction sector comes at the expense of local contractors in partner countries and that some countries might not be able to repay their loans. It is also not clear whether risk assessments are provided. This is a risky move in countries with a practice of ‘abuse of public money for private goods’, especially in the public procurement sector. Moreover, smart public diplomacy requires “an understanding of the roles of credibility, self-criticism, and civil society in generating soft power”. 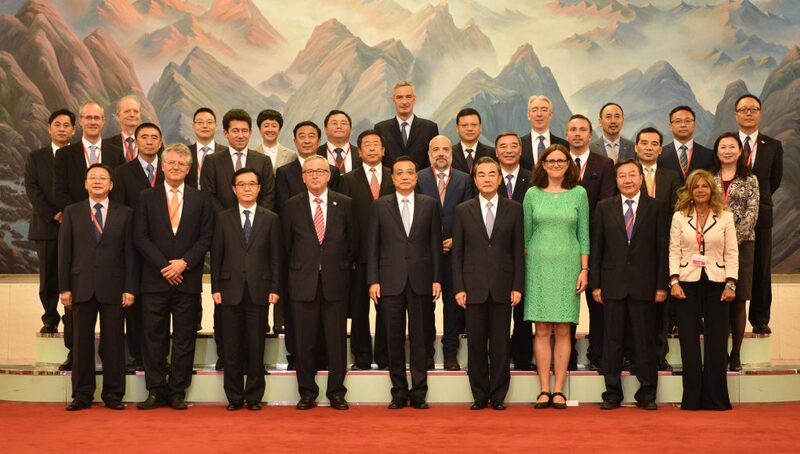 Indeed, the Balkan Silk Road Initiative (BRI) includes “policy initiatives, investment priorities and business decisions by Chinese authorities and companies that can have a major impact on countries, regulatory authorities and civil society organisations”. However, the “co-discussion and collaboration” so far is exercised via top-down diplomacy, by engaging elites rather than civil society or regulatory authorities. Having said that, Chinese engagement with civil society is neither vocal nor promising. It is likely that China indeed intends to “share its development experiences and foreign philosophies with all countries, while at the same time wishes to study the valuable parts of them”, as experts have argued, but so far it has been playing a risky game, or at least no-contingency-plan game, lest risks should develop. In order to cope with the specific economic characteristics and political risks of CEE, it has to fully engage and co-operate with the EU in a much more effective and open manner. After all, the EU has been engaged in this region for decades. It has been supporting the development of the region financially, investing in building (democratic) capacities and cooperating with the civil sector on a number of occasions. Through the mechanism of EU conditionality, it has also developed experience of the country-specific risks, especially those stemming from corruption, political instability or slow economic growth. Yet where various EU member states have “identified political instability, refugees and migration as well as the threat of terrorism and drug trafficking, especially in the Western Balkans,” as problems China “has identified opportunities”. (EBRD report, 2017). China’s priorities now are to “assist the acceleration of the European integration process’’ as well as to play the role of a collaborator with the CEE countries, improving their shortcomings and thus narrowing the gap inside Europe. However, in the framework of the wider geopolitical context, it is unclear whether China holds contingency plans for the CEE countries, especially for the Western Balkans, as prospective EU members. Given that these countries are still fragile, both politically and economically, China cannot bypass the EU’s experience and involvement with the region. Nor can the EU afford to undermine China’s involvement in the CEE region, or the region itself, its countries and its citizens. While China is “establishing trade links and logistical networks for the shipment and distribution of Chinese goods into Europe via the ports of Greece, onward transport to and through Macedonia, Serbia and Bosnia before reaching Hungary”, many hidden actions (corruption or organised crime) are less likely to be controlled. Moreover, due to geopolitical (i.e. economic) opportunities, the CEE countries are indeed motivated to engage in a collaborative manner and increase the opportunities for their growth and development. 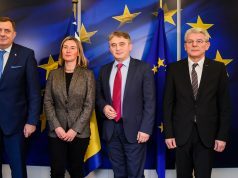 However, the process of reconciliation and reconstruction, especially in the Western Balkans, is not yet completed, nor is corrupt behaviour mitigated or successfully prevented. It takes time, strong institutional capacities, joint efforts, dedication and vision to fight state-captured societies. Therefore, a ‘one-size-fits-all’ strategy is doomed to fail. The reliance on political will to address the domestic and global challenges from a ‘trade and investment’ perspective is also insufficient. The assumed ‘domino effect’ of the (few) diplomatic successes in the region may not deliver the expected results. Hence, the “quest for commodities” should shape new leadership visions, and this time it should include the transformation of the weak educational systems and extensive improvement of the quality of education. It should also include significant investments in R&D, skills and qualifications. It should engage both youth and seniors. It should engage their visions, ideas and plans for development and promote their rights to qualitative education, capital and a better quality of life. ‘Retaining talent’ should start to be a reality, not an (EU) utopia. More borrowing and more bank dependencies cannot be a long-term strategy. These citizens cannot afford any more financial or political shocks. So far, the ongoing diplomatic, geopolitical, economic or political visions are failing to produce contingency plans that will safeguard the public goods and the public resources. Let us hope that the new developments of global (geo)politicss will recognise that “It was not by gold or by silver, but by labour, that all the wealth of the world was originally purchased” (Smith, A. The Wealth of Nations, 1776). Investment in human capital may be the only way out from corrupt systems. In order to make that change, a serious, less ‘undermining’ approach is urgently necessary. 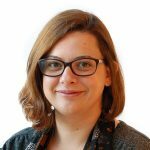 Emilija is a member of the Global Initiative Network of experts against transnational organised crime and Marie Sklodowska-Curie Ph.D. Fellow under the PLATO Innovative Training Network (ITN) at Charles University in Prague.